Since all of us were here, family bonding while eating is great. We keep on calling different leading pizza restos for home delivery here in Calamba and most of them had this busy number. Actually, come to think of it, we were also in a tight budget. Salaries and checks will be due next week. Still, we crave for more! 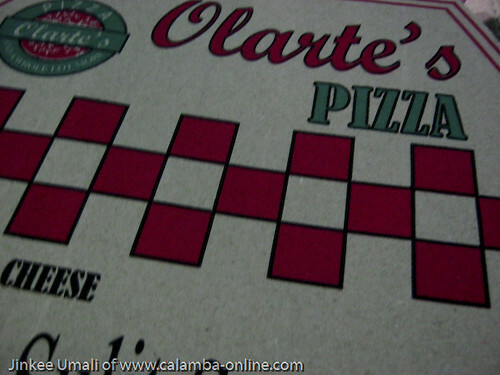 What we did was to give a try a pizza house here at the subdivision – Olarte’s pizza. We ordered Olarte’s Special The taste is not bad at all. 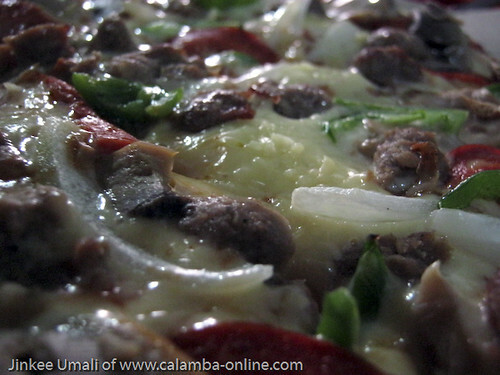 It can definitely compete with the leading pizza chain here in Calamba. Even if the crust is so thick, the combination of the red sauce complimented the whole taste. 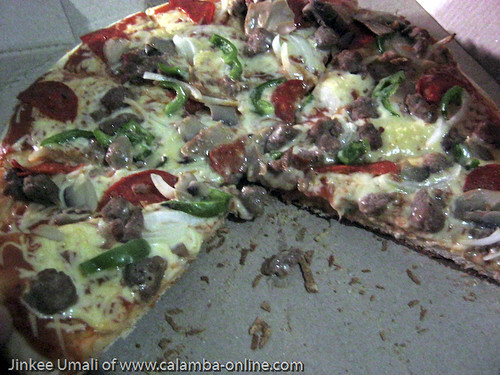 Really gracious with the toppings – from lot of cheese, bell pepper, mushroom, salami, onion and I think bits of meats. Price is only P 185.00. I will update this post as soon I got other contact information and other pizza combinations to taste. good day! I am interested to franchised olarte’s pizza. kindly email me the details.